Misty Knight: I'm sorry we couldn't get you out of here sooner, Moon Knight. We're still trying to figure out how to deal with Mephisto. Misty Knight: Did you say talking to myself, or "my selves?" Moon Knight: Second one. The four of us fight a lot less when everyone gets to voice their opinion. 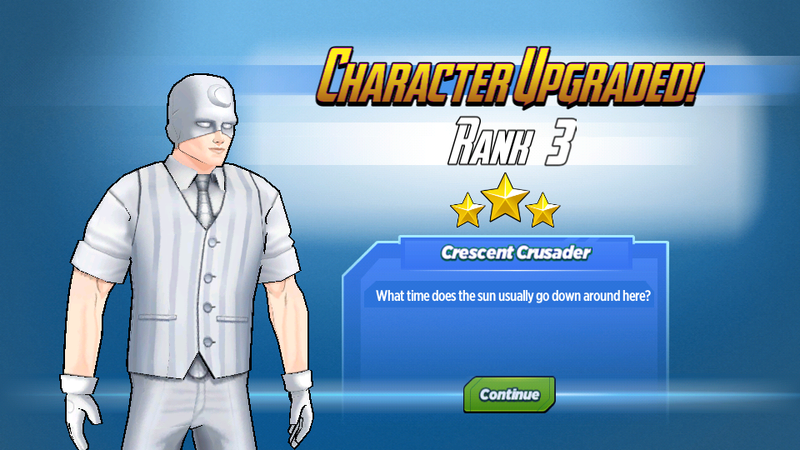 Wasp: Moon Knight! How did you come back from the dead?! 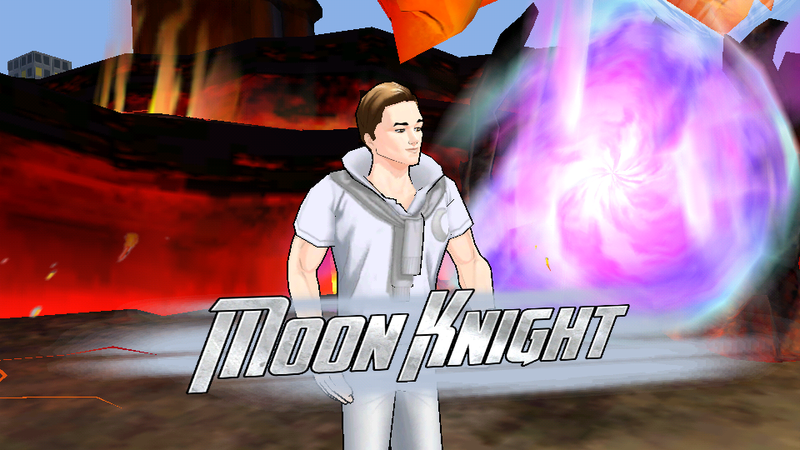 Moon Knight: The Egyptian god Khonshu resurrected me to be his servant, and protect those who travel at night. Wasp: Whoa. 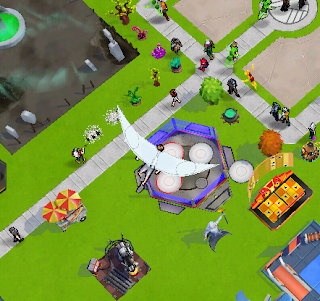 How did you get all of your awesome moon-themed gadgets and vehicles?! Moon Knight: I used the money I made as a mercenary to start a company called SpectorCorp, and made a lot more investing in fine art and artifacts, and making a TV series about Khonshu. Wasp: Whoa. How do you never get a stain on those crispy white clothes?! Moon Knight: No one knows. Moon Knight: I have a plan for stopping Mephisto, but I need to get my gear. Black Widow: You think you're gonna stop him with a moon-shaped boomerang? Moon Knight: You think I'm crazy? Moon Knight: Wouldn't be the first time. 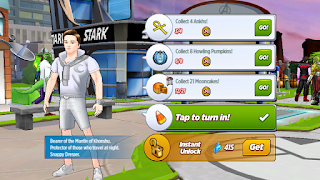 Pepper Potts: Welcome to Avengers Academy, Moon Knight! We really appreciate you helping us battle Mephisto. Moon Knight: Thank you. Where's the best place for me to test out my gear? Pepper Potts: Is it dangerous? Pepper Potts: Honestly, anywhere is fine. Iron Man: I've always been a big fan of your tech. What's your newest gadget? Moon Knight: Angel Wing. A high-speed weaponized glider. Iron Man: A cool gadget with a cooler name. We should be hanging out more. Moon Knight: What are you talking about? We hang out all the time. Iron Man: Take care of yourself, Moon Knight. I'll see you around. Moon Knight: Sounds good. Let me know if you're ever travelling at night. Moon Knight: Not in a weird way. I protect people who travel at night. It's part of the deal with the god who resurrected me. Misty Knight: Are you feeling good enough to fight? Green Goblin: Do you really think there's room for two glider-flying business owners with split personalities? 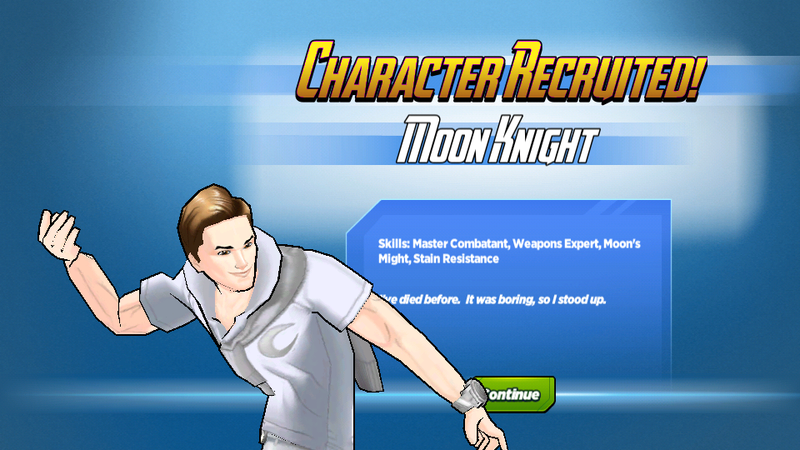 Moon Knight: Sure, why not? Green Goblin: Part of me thinks it's fine. The other half wants to scream "Trick or Treat!" and throw personalized explosives at your face. Moon Knight: I know exactly how you feel. Loki: You're the Lunar Legionnaire? Moon Knight: I have a lot of names, but I don't think that's one of them. Moon Knight: Bad guys always think they're perfect until I leave them crying behind a dumpster. Odin: I need to have a word with you. Moon Knight: Of course, Odin. What can I do for you? 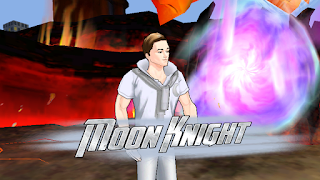 Moon Knight: You want to talk directly to Khonshu? Can you do that? Do you guys know each other? Odin: I know of him. We gods are sometimes compelled to take drastic measures. I certainly am not proud of everything I've done. But forcibly invading your mind to the breaking point cannot be allowed. 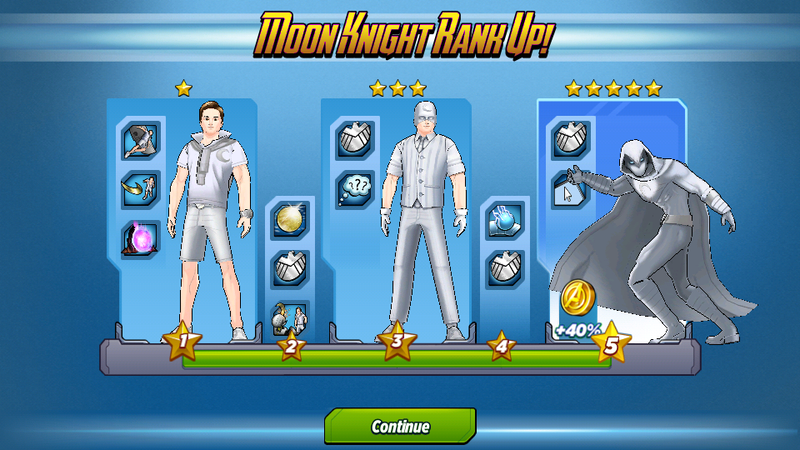 Moon Knight: You think you can remove him? Odin: I'm looking into it. You should as well. Moon Knight: Isn't Khonshu what's keeping me alive? Odin: I'm fairly certain I can extract Khonshu from your spirit, but I cannot guarantee what that will mean for your mind. 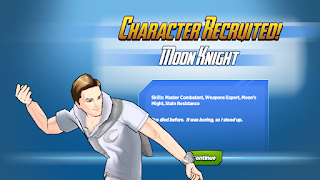 Moon Knight: Am I gonna develop eight personalities instead of four? Odin: If more personalities are the only thing to spawn in your mind, I will consider that a great success. Moon Knight: I appreciate everything you're doing, Odin, but I'm not even sure I want to get rid of Khonshu. I like being a knight of vengeance. Odin: And you excel at it. My concern is that the longer Khonshu colonises your mind, the more likely it is that you'll go completely insane. 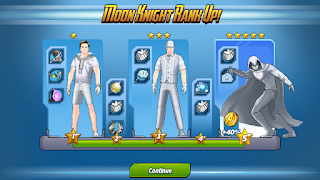 Moon Knight: I'm going to keep working with Khonshu. I owe him my life. This is what I am now. Odin: I respect your decision, and your loyalty. I'll be here if you ever need anything. 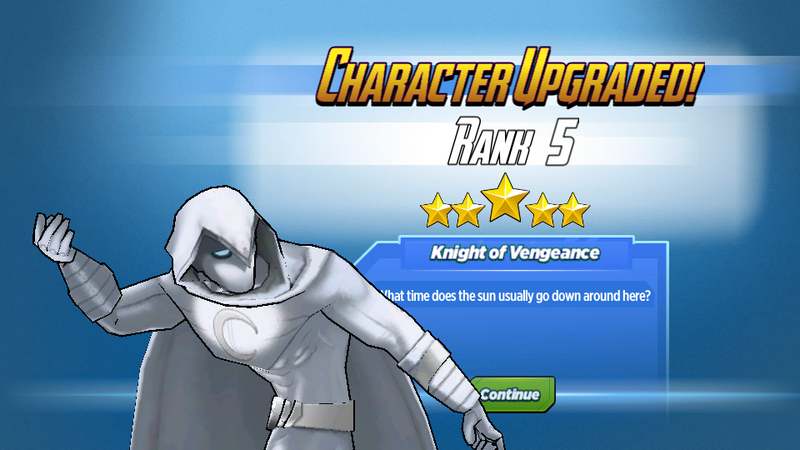 Moon Knight: Thanks, Odin. I'll let you know if I ever need your help. Moon Knight: I could use your help with a mission in New York. Moon Knight: We both work well in darkness. We know how to make people talk. We don't have powers, but we get more done than most superhumans. Black Widow: What's the mission? Moon Knight: Have you ever heard of The Hood? Moon Knight: And he's looking to get more. My informants are telling me he's on the hunt for an Asgardian artifact that's hidden in the city. Black Widow: Do you know where it's hidden? Black Widow: Is it possible that you wouldn't remember? Black Widow: Did you find out who got into your safehouse? Black Widow: There's no security footage? Moon Knight: I watched the footage, but I couldn't tell who it was. Couldn't even tell what it was. They wore masks, but you could tell they weren't human. Black Widow: And they got the Casket of Ancient Winters? 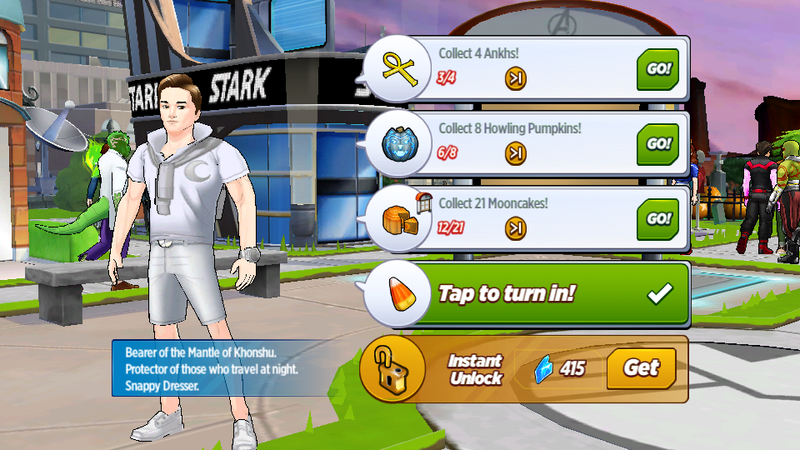 Moon Knight: I need your help, Odin. Odin: Are you ready to attempt to extract Khonshu from your being? Odin: You should have brought the Casket of Ancient Winters to me the second it was found. I could've kept it safe. Odin: And why do you think the thieves were Malekith and the Dark Elves? Moon Knight: The video footage matches Loki's description of their masks. They tore through the safehouse with ease, but when one of them touched some Egyptian iron beads, he acted like his arm was on fire. Odin: I'm going to continue to tell you that infiltrating the Dark Elves' empire is a very poo decision. Moon Knight: And I'm gonna go anyway. If you or another Asgardian goes, it could be considered an act of war. If I go, it's just some crazy guy doing crazy guy stuff. Moon Knight: Neither do they. Odin: Did you retrieve the Casket of Ancient Winters? Moon Knight: It was already gone. Malekith and a crew of followers double-crossed the rest of them, and stole it. Odin: Where is he now? Odin: How do you know?! What do you think of Moon Knight? Where are you on unlocking him?